If you have at least 10 days to visit, you may want to see more than one country on your next Asia trip. Alaska has several partner airlines that fly direct routes from major West Coast hubs to East and Southeast Asia, letting you earn miles for your travel. As of April 1, you can fly nonstop from Seattle to Hong Kong on Cathay Pacific, and Seattle to Tokyo on Japan Airlines, making Asia even more within reach. Knowing Asia is a lot bigger and more spread out than Europe, I’ve put together my favorite itineraries checking off two countries in one trip – without forcing you to spend your entire trip in the airport or on the road. Tokyo is the closest Asian destination to the West Coast, and an obvious wonderland for a life’s worth of cultural immersion. Go for the omakase (chef’s choice) from tiny sushi restaurants and fish markets; wander through lush, meditative gardens like the 17th-century Koishikawa Kōrakuen (no one does gardens like the Japanese); sip sake or Sapporo at closet-sized bars of Shinjuku; check out the whirlwind of unexpected offerings of vending machines; see sumo or how Japanese baseball compares to the U.S. version (less hot dog, more bento box); and consider a day trip to Mt Fuji. From Tokyo, it’s a three-hour flight to Shanghai, China’s booming modern metropolis with a sci-fi skyline and back alleys home to some of the world’s best food. 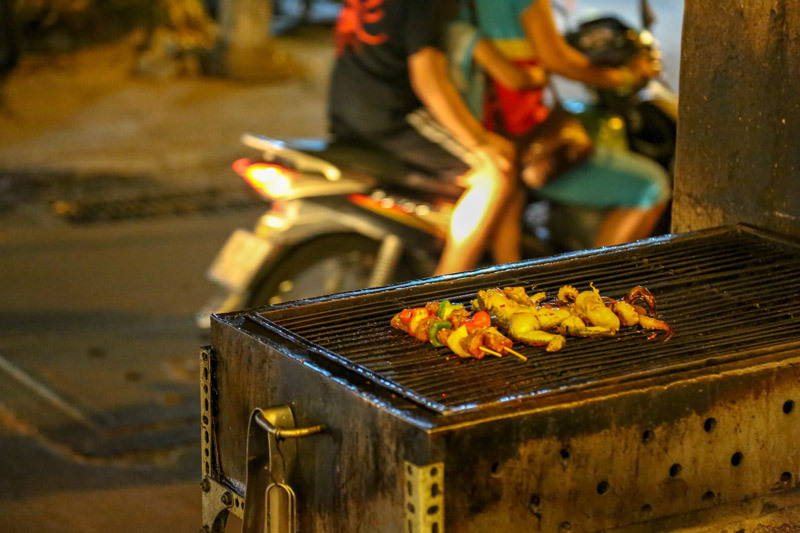 Join an evening food tour to try funky spirits, Central Asian–style skewered meats, grilled crawfish and juicy dumplings (Huanghe Luare, a block from People’s square, is a great lane to find them). To explore more of China’s past, spend a couple days in Suzho (reached by bullet train in an hour). Once the starting point of the Silk Road, Suzho’s historic heart is filled with temples, artful shops, traditional gardens, and endless eateries on ancient canals you can explore by traditional boats. Listen as you go, too: China’s alluring pingtan folk music hails from here. Best time to go: Shoulder seasons of spring and fall. Early spring in Japan can add the pink glory of cherry blossoms. How to get there: Japan Airlines nonstop to Tokyo from Seattle (starting March 31, 2019), San Francisco, Los Angeles, San Diego and New York (JFK). 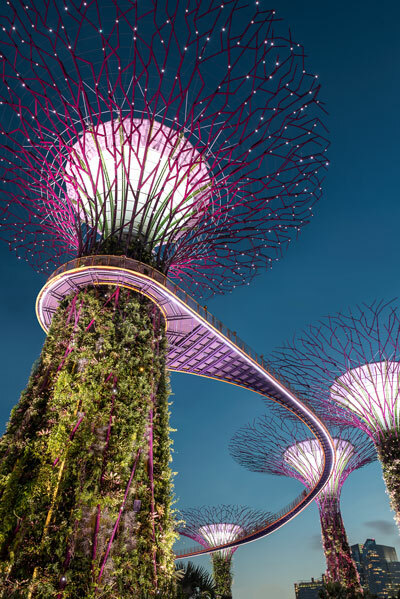 Last year’s hit film, “Crazy Rich Asians,” functions as an excellent introduction to Singapore, surely Asia’s easiest city to visit. Get a bowl of Hokkien mee (stir-fried egg noodles with seafood and shallots) at Newton Food Centre or in Chinatown on Bikit Pasho Road, hit the beach of Sentosa Island and wander surreal neon-lit Gardens by the Bay. For a splurge accommodation, the ionic, colonial-era Raffles (birthplace of the Singapore Sling) reopens this year after being closed for renovation. The two-hour fight into Phnom Penh, Cambodia, reveals a whole different Asia, as you’ll immediately discover while exploring the French colonial core and Buddhist temples of the capital on the Mekong. After a couple days, make the short flight to Siem Reap to explore the ruins of the sprawling Angkor Wat site, including the crumbled walls below gnarling roots of giant trees of sites seen in the film “Tomb Raider.” It sprawls, easily worth a couple days of Indy Jones–style exploration. Finish with a cooking class to discover the source of spice in the still undiscovered pleasures of Cambodian cuisine. How to get there: Singapore Airlines nonstop to Singapore from San Francisco, Los Angeles (and Seattle starting this September). Start this underrated two-fer in Seoul, South Korea, which is seeing a huge boost in visitation lately. You can catch the iconic K-pop shows, have a walking feast through Gwangjyang Market, pick up souvenirs at the Saturday market in arty Insadong neighborhood, perhaps take a daytrip to the DMZ on the North Korea border or make the two-hour train ride into the mountains at Pyeongchang, site of the 2018 Winter Olympics. Then Beijing, home to 21 million, is only a two-hour flight away. 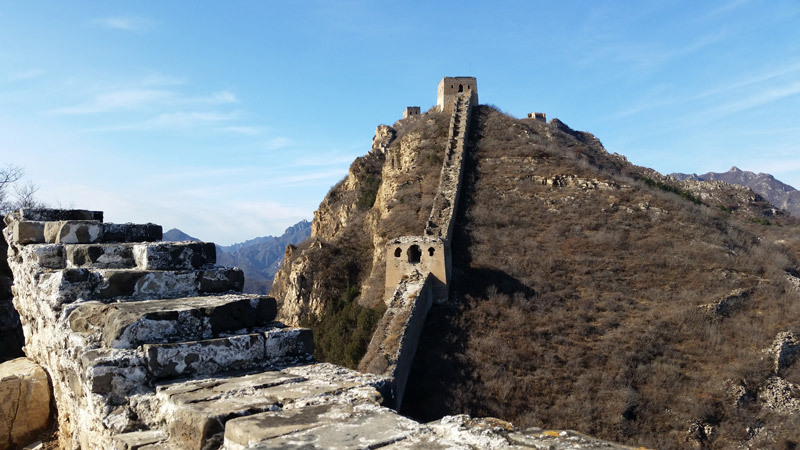 You could quickly fill a couple days visiting historic sites like the Forbidden City, Summer Palace and Mao’s Mausoleum at Tiananmen Square (eating as you go). The epic Great Wall of China, which stretches 4000 or miles, snakes along mountaintops a couple hours from the capital. Thrilling daytrips access it at various spots, but if you’re feeling more adventurous – and want more space to yourself – follow our DIY overnighter to Wohushan Mountain’s more secluded stretches. Best time to go: Shoulder seasons of spring or fall. How to get there: Korean Air nonstop to Seoul from Seattle, San Francisco, Los Angeles and New York (JFK). If you can only visit one Asian city, Hong Kong would top most lists. Base your stay on Hong Kong Island, ride the tram up Victoria Peak, peek into hallowed temples. You’ll want to ferry across the bay – looking back at skyscrapers hugging the shoreline as mists shroud the green peaks – to Kowloon. Walking the waterfront from here makes up Asia’s best city views, while farther inland, at the Temple Street Market, you’ll find street food and shopping heaven. Next, Vietnam. For years, it’s been a debate for short-term visitors between visits of Hanoi (the atmospheric, literary capital) or Ho Chi Minh City (the economic dynamo with nonstop nightlife). 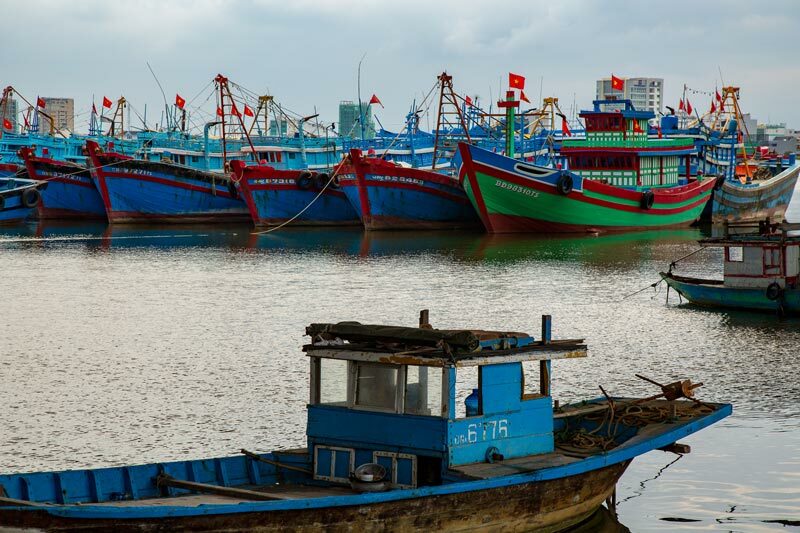 But increased flight connections has propelled Danang – a coastal city backed by mountains, and just two hours from Hong Kong – as an easier, more low-key option with heaps of reward. Savor seafood barbecue on the waterfront, get a selfie at Asia’s hottest new Instagram location at the Golden Bridge in the lush Ba Na Hills, and set yourself up in nearby Hoi An. This gorgeous Unesco site is an ancient lantern-lit town on tiny canals, and famed for its dozens of tailors and an inviting beach nearby. Best time to go: February to April. Before Hong Kong rains and heats up, and just after Danang’s wettest season. How to get there: Cathay Pacific nonstop to Hong Kong from Seattle (starting April 1, 2019), San Francisco, Los Angeles and Vancouver B.C.